After serving as chairman from 2004-2013, CCMC founder Ed Boudreau was named chairman emeritus in 2014. A 45-year veteran of CCMC, this revolutionary in community association management laid the foundation for CCMC’s leadership in the industry through his vision and innovation. And the results speak for themselves. Today, CCMC provides professional community management services to more than 150,000 households in over 220 associations throughout 10 states. As chairman emeritus, Ed continues to provide guidance to the CCMC board and advocate for improved community association management throughout the country. Ed holds a master’s degree in business and is a licensed real estate broker. His history includes involvement in the Community Associations Institute (CAI); Institute of Real Estate Management (IREM); and the National Board of Realtors. He has served on the boards of the Greater Dallas and Texas Apartment Associations and the Richardson Youth Council. Ed was a contributing author to “Community First,” developed the original concept for CAI Online and has been a speaker for CAI. In 1992, he was awarded the Professional Achievement Award from IREM, and in 1993, he was named Property Manager of the Year. Ed held a number of leadership roles in IREM National and served as its international president in 2002. 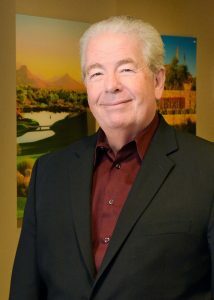 He served as president of the IREM Foundation in 2009 and 2010.